I hope that your weekend was filled with lots of fun and gave you some time to catch your breath! I know that it seems for me that there is always something demanding my attention, and now with Christmas only a little over a month away, it is GO TIME. Speaking of the holidays, there are going to be lots of get-togethers, family functions, and parties to go to. Which means we are going to have to come up with some refreshments to contribute to that Christmas party, or find something that the family will rave about this year. I have just the thing for you! Take a cute punch bowl of frozen coffee to your next event. This drink has been a winner at several parties and family functions, especially for coffee drinkers, but people who like frappuccinos are usually fans of it too. And it is so simple to make. Combine instant coffee, sugar, and water in a small saucepan. Warm ingredients to melt coffee. Set mixture aside to cool. Place the 1/2 gallon of vanilla and 1/2 gallon of chocolate ice cream in the punch bowl. Add half of the milk. Add cold coffee mixture. Stir until blended well. And of course you can add some whipped cream and chocolate shavings on top to make it super cute and fancy, but as you can see by the pictures above, that ain't gonna last long once you set it out! This is sure to be a hit for any occasion. Give it a try and be sure to let me know what you think! 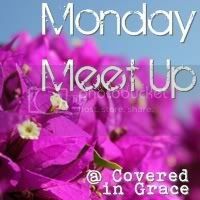 Linking up with Brooke over at Covered in Grace for Monday Meet Up. 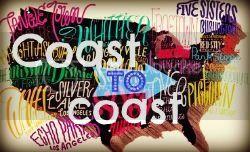 Head on over there and link up your blog. This looks AMAZING!!!!! Gonna have to try it! Thank you for the recipe - I am definitely going to have to try this at work. Because that's how we roll at my job. Ha! 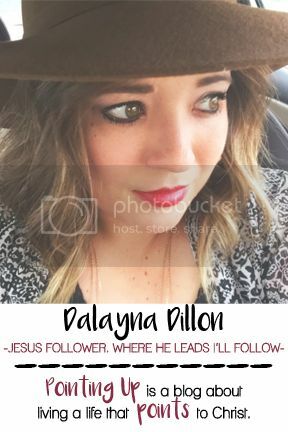 New follower here, BTW - always love connecting with a sister in Christ! This sounds delish! Thanks for sharing!!! This looks and sound so YuMMY!! I am going to have to try this, thanks for sharing. LOVED your post on Wifessionals! A craft party sounds amazing and I HAVE to plan one right now. Thanks for sharing all the excellent ideas! So excited to getto know you better as a follower. Mmmm, that sounds amazing! Such a unique (yet simple) recipe too! Oh yum! I'm totally making this, and ASAP! Question, why add only 1/2 the milk, where does the other 1/2 go? Did I read it wrong or am I missing it? I don't want to mess this up! YUMMMMM! As a coffee fanatic, I would be all about this! I love bringing "different" things to get-together, will def put this on the list! Oh YUM!! I am slightly obsessed with frappuccino's - so I'll definitely be giving this a try! Thanks for sharing - it looks delicious!